My family and I spent this past weekend driving from Austin to Davenport, Florida. It was a great trip and I was able to venture through some of the Southern States that I’ve never seen before. The states of Louisiana, Mississippi, and Alabama seem to be full of “Bayou” This and “Bayou” That…. below is a video explaining the “dreaming” I was doing while cruising along the Bayous. Once we arrived in Davenport, I learned what happens to a bike after traveling 1100 miles sitting on top of a vehicle. Check it out. 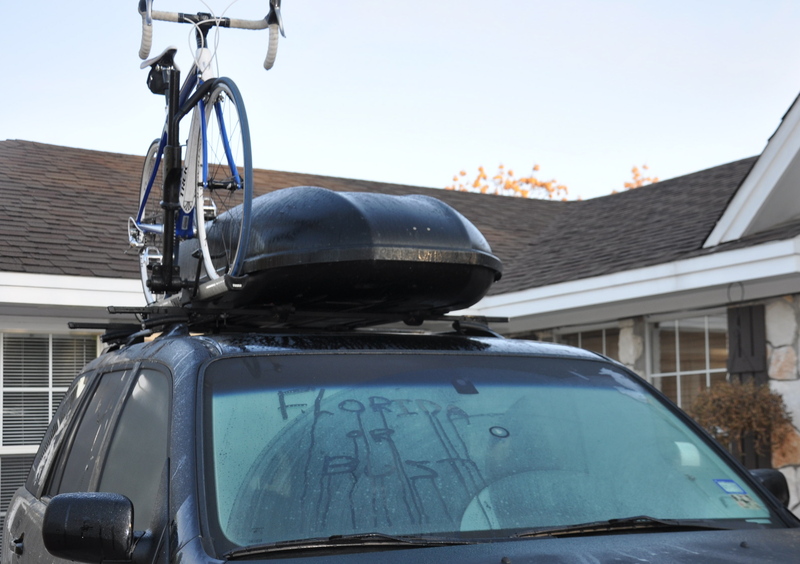 If you haven’t already read about my other experiences with my new Thule roof top bike carrier, you can read about the drama right here. What kinds of stories or tips do you have for people considering the roof top carrier option?